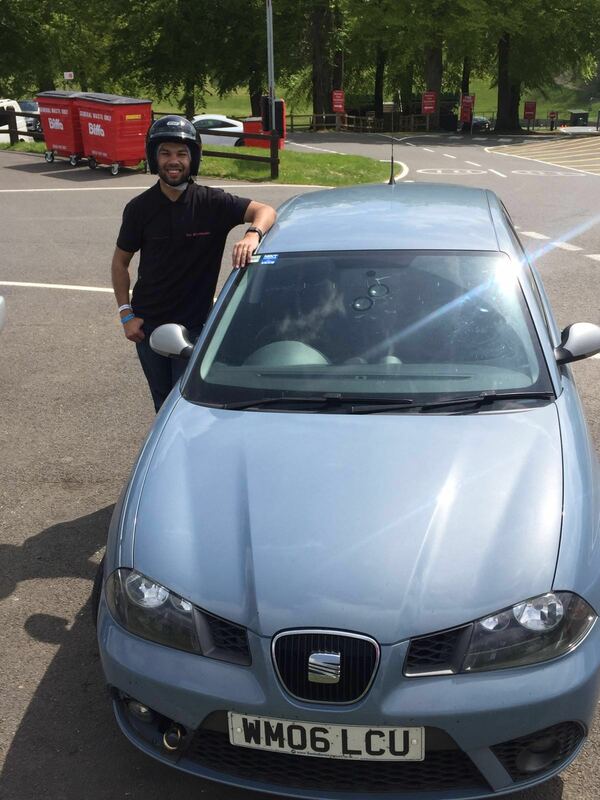 You may remember that last year I had a quick spin in the new SEAT Ibiza FR. Back then, only the 1.0 litre version was available, and though that was good, what if you yearn for extra performance? Well, you’ll be delighted to hear that you can now have the new FR with the bigger, more powerful 1.5 EVO engine. Seeing as the engine is the focal point of this review, it only seems sensible to kick off with some juicy performance stats. 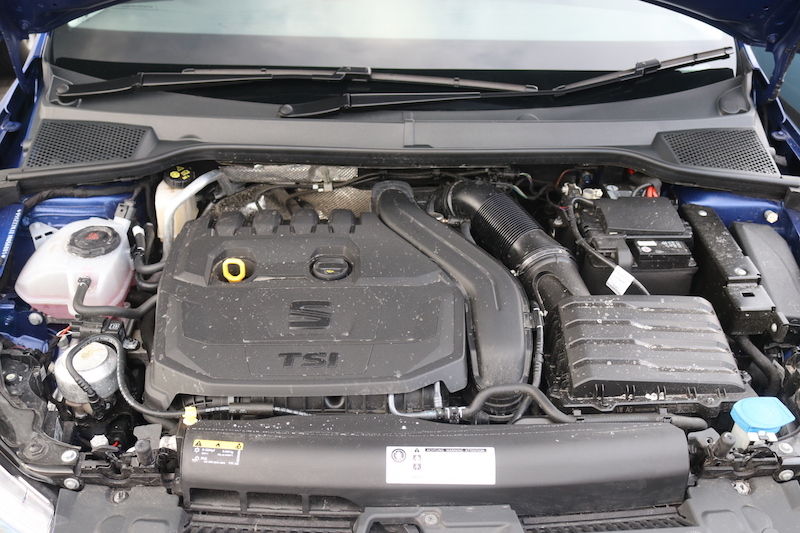 148bhp is offered from this engine, which is joined by 250Nm of torque, and is mated to a 6-speed manual gearbox. Link your gearchanges right and you’ll be able to get this car to 62mph in 7.9 seconds, which should be easy as the 6-speed box has a nice, snappy action to it. There’s no option for a DSG though, not unless you go for the 1.0 litre engine, but that suits me just fine. Although the more powerful FR offers a good amount of performance, don’t think you’ll spend more time filling the car up rather than driving it. Thanks to cylinder deactivation, which is able to shut half the engine down when cruising, you’ll be able to get up to 57.6mpg on a combined run. It’s pretty green too as it emits just 112g/km. So it looks as if you can have your cake and eat it. 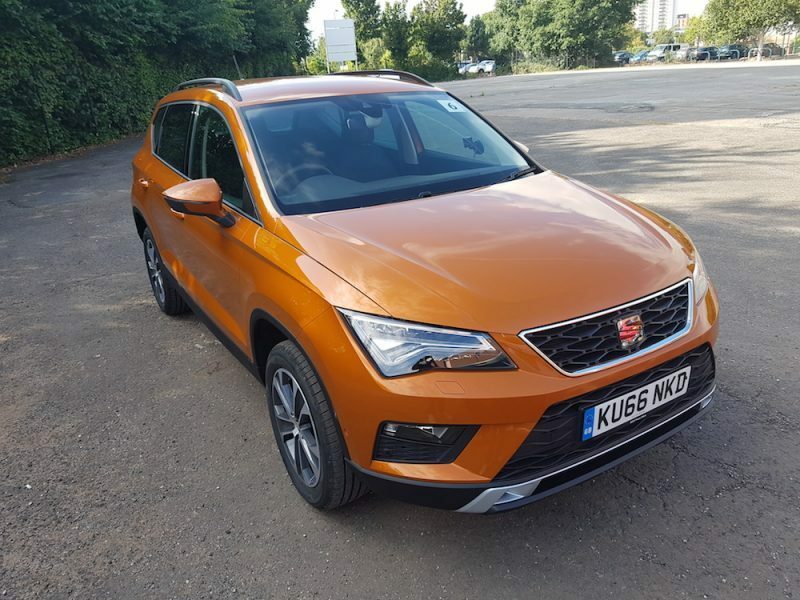 If you’re really concerned about economy, then take a look at the 1.6 litre diesel which is able to offer up to 74.3mpg with CO2 emissions of 99g/km. Unfortunately, the conditions were far from great for this test as it was a grey, wet day in Milton Keynes. Despite this, the FR was still able to shine. 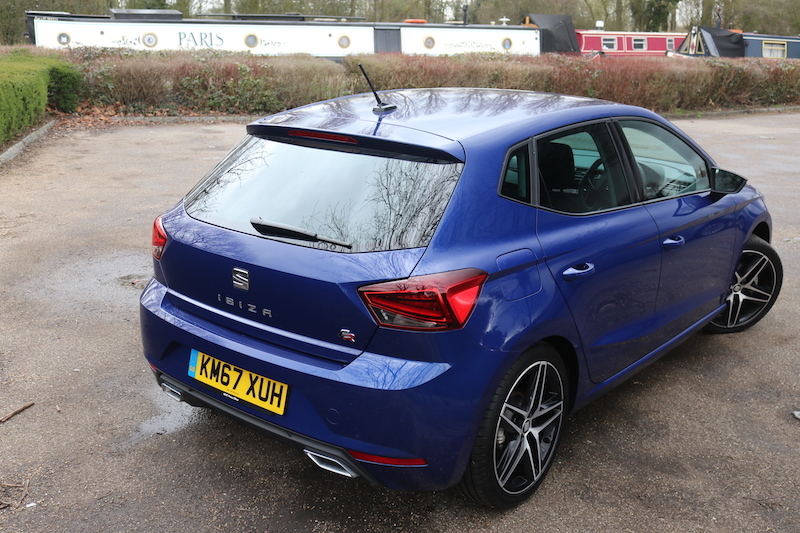 Like the standard model, the new Ibiza FR is a more refined, grown up car. The inside does feel a little sober, but it’s put together well and features a good level of technology. 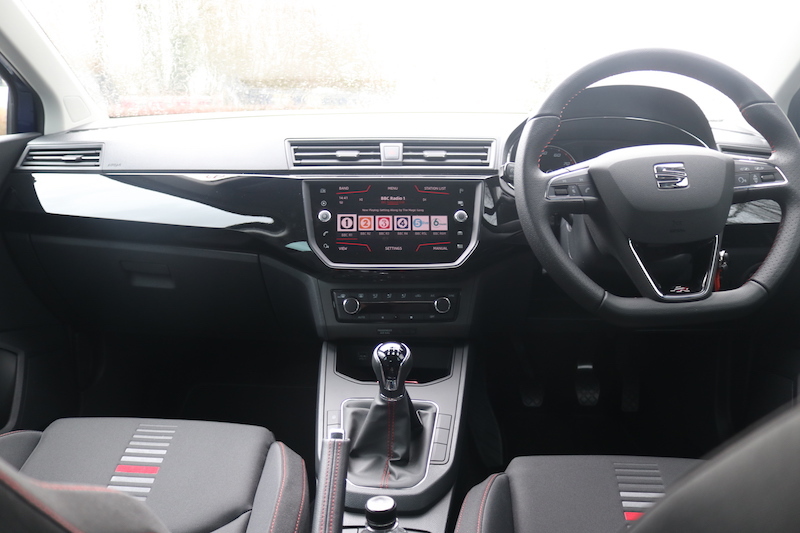 An 8″ touchscreen comes as standard, and it’s able to offer features such as DAB radio, navigation, Bluetooth and smartphone integration. Thanks to increase in refinement, you’ll find a ride that is firm, but still compliant enough for daily use. 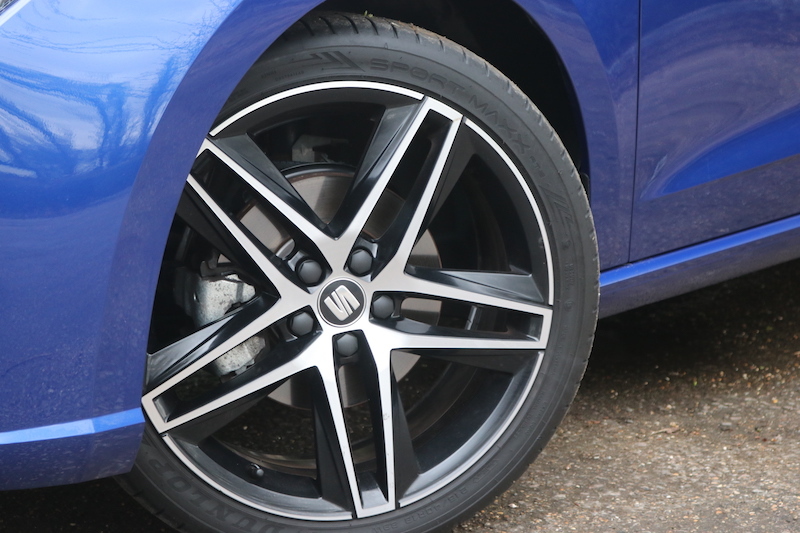 The model tested may have been wearing the optional 18″ alloys, but even so, the road noise is more than acceptable and the wind noise is kept to a minimum as well. The car feels grown up in the way it performs, which may not be for everyone. You may think that this car is a bit too serious to be fun, but it’s still able to offer such qualities. The performance from the engine is strong all the way through the rev range, although there is a small amount of turbo lag to contend with initially. Making progress with this 1.5 litre engine is very easy and it should offer enough performance for most buyers. The FR has got the SEAT Drive Profile, meaning that you get a choice of four driving modes; Eco, Normal, Sport and Individual. I spent most of my time with the car in sport, because why wouldn’t you? This makes the steering heavier and also gives a better throttle response. In this mode I found the steering had just about enough weight to keep me satisfied, and that I found it a bit light in normal mode. However, it’s worth pointing out that I like my steering rather heavy, so it’s more about personal preference. 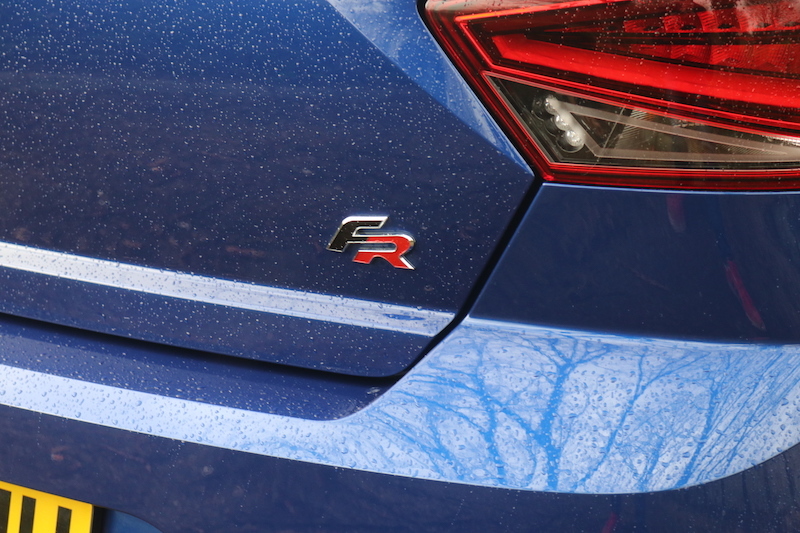 The steering is direct though, and even in the wet the FR was able to conjure high levels of grip. The bakes have got a decent bite to them, plus the brake pedal has a good feel to it. The FR is definitely good fun in the corners, but it’s a more grown up kind of fun. That may sound like a bit of a paradox, but what I mean is that the FR feels like a premium product. Others may want something a bit more raw though, but there is plenty to admire for the new FR, especially with the 1.5 litre engine. At this point, you may ask whether you have this or the 113bhp 1.0 litre petrol. Personally, I would opt for the 1.5 litre purely because if offers the better performance and overall it’s a stronger performer. The 1.0 should not be discounted though, especially if you want better fuel economy or indeed, a DSG gearbox. 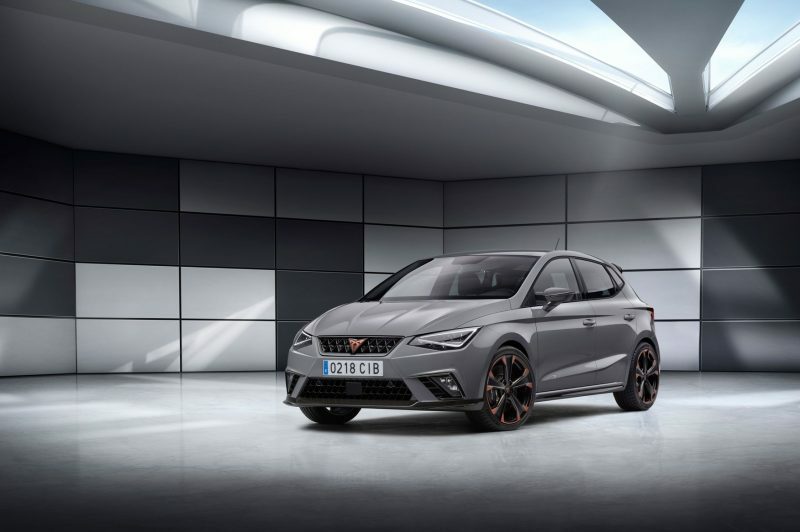 If possible, I’d recommend having a go in both to see what you prefer, as you may find for daily use the 1.0 litre is just fine, but the 1.5 litre is the fastest Ibiza you can have right now, whilst the Spanish brand decides whether or not to make a Cupra version. 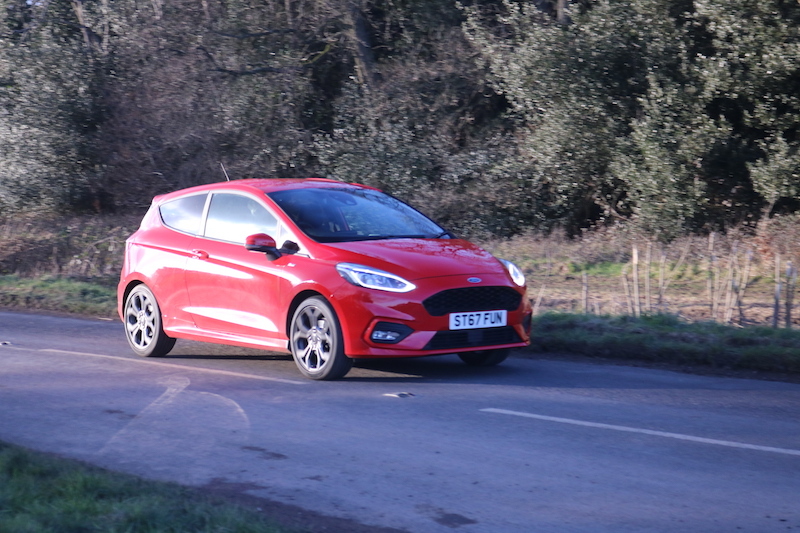 Recently I reviewed the Ford Fiesta ST-Line X, which is a direct competitor to the FR tested here. 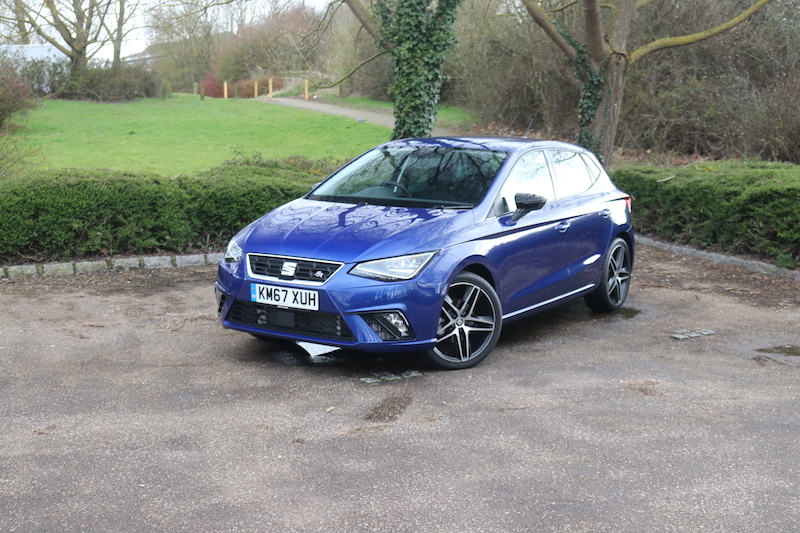 I will be honest here – well it’s my job – the Fiesta is a tad better to drive and it does offer a bit more fun, but as an overall package I think the SEAT takes the crown. To my eyes, it’s a better looking car, it offers more space in the back and it has a bigger boot. However, both cars are great cars and I don’t think you can go wrong with either, but I’d take the Spanish on thank you very much. To sum up, the 1.5 litre FR is a nicely rounded sporty hatch that is able to offer up many talents. Some may find it’s a bit too grown up, but that’s not to say it cannot offer fun. Add this to a sharp looking car that offers a good amount of tech, high levels of safety and decent value, and you got yourself a seriously competitive warm hatch.